A couple of days ago I shared news on how to become the DivDo Prom Queen Model. Today I’m rockin my DivaDo and lovin the volume it’s giving me. The hair insert is so easy to apply and looks natural. The one to the left is The Brigitte and great for creating voluminous ponytails. The other is The Audrey -- perfect for when you want to wear your hair down. They compliment any hair color and come in black, brown and natural. Grand Prize: Get Noticed by the world wide web, 10’s of thousands of people, Be Seen, Show off your Do with out the Damage. Be the DivaDo Website and Social Media Model using your beautiful prom hair How-To Video with the DivaDo. Also win a Photoshoot in your local area/ Diva Day, a DivaDo gift basket and be Crowned the DivaDo Prom Queen. 2nd and 3rd Prize: Two runner ups will receive a DivaDo T-shirt and acknowledgement on the website and social media outlets. Don’t miss their incredible deals- Enter the contest on their Facebook Page, but fist purchase your DivaDo! 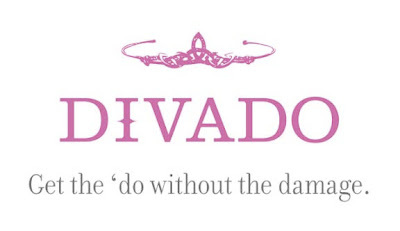 Go to www.divadohair.com and enter the code BAZZ for 20% of your purchase! They’re even giving some away. Text "BAZZUP" to 90210 and win a set of DivaDos!